Our house clearance help will make a huge difference! Want to create some breathing space in your home? 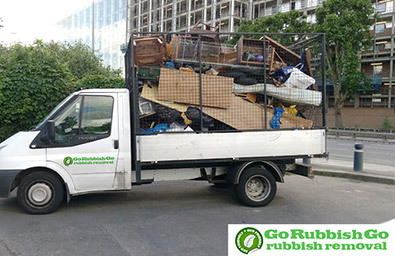 Then use Go Rubbish Go.’s first class London house clearance service! With our service, we can make sure that anything you no longer want or need is disposed of so that you can create space in your home. If your home is brimming with old furniture, mattresses and items that are taking up space but you no longer need them, let us take them away for you. If they are just taking up space, would it not be better to create more room in your home and hire our London house clearance company now? We can assure you that when you hire us you will be far from unimpressed. We make no room at all for mistakes here so you can count on us for everything and anything you need. Our house clearance service is brilliant. One of the many great things about this service is that it is cost effective and affordable to all – including those on a strict budget. Opt for our house clearance London service by calling us now to book a date on 020 8610 9182. A member of staff will be there to help you and offer you anything you need. Make the most of our house clearance service if you would like to clear some space up at your home. Nobody wants to be living amongst piles of waste and rubbish. If you have loads of items in your house that you no longer use, we recommend you hiring us now for first class services in London that you will not find elsewhere. You will of course find other services but none of them will compare to us. If you need a London house clearance, please just go ahead and hire us now and you will not be let down. Just contact our office at 020 8610 9182 and we will be more than delighted to help you and answer any questions you may have. You will also receive a bonus free quote if you call now. You can’t lose when you book with us. So settle on a date and get in touch. There is no point in trying to keep putting up with all your belongings hanging around the house. If you need professional help, don’t be afraid to contact us soon and we will gladly lend a helping hand. Don’t keep living with junk around you. We offer a house clearance London at amazing value for money! Go Rubbish Go. has been running for a lengthy time and we are confident that we can cater for your every need. So if you seek house clearance in London, we would like to help you. Our workers work hard and are enthusiastic about working with clients. You will not be expected to do much because the team does most of it for you. You don’t have to expect to do a lot when you book with us because we do our best to ensure we do most of it for you. If you would like to hire us for London house clearance, we are sure we can meet your every need and we are sure our prices will be more than within your budget. 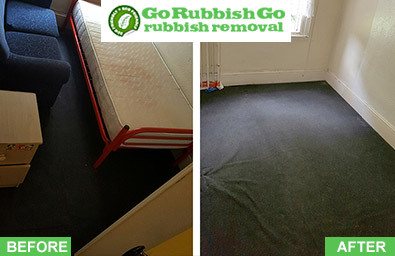 We can clear away anything you need us to and with us, unlike many companies across London, there will be no delays, no extra added fees, and no incompetence. We provide first class house clearance London services always. Call 020 8610 9182 today for a free quote and we’ll tell you all the details you need to know. So call us now to book a date!